Originating in 1867 under the presidency of the Archbishop of Canterbury, the Lambeth Conference has proactively shaped the modern world by influencing areas as diverse as the ecumenical movement, post-war international relations, and the spiritual lives of hundreds of millions. A team of distinguished scholars from around the world now detail the historical legacy, theological meaning, and pastoral purpose of the Anglican Communion's decennial councils. The next Lambeth Conference will be crucial for the Anglican Communion, which is currently afflicted by destructive tensions over matters long central to Christian identity, such as the nature of holy orders, the definition of sexual morality, and the scope of ecclesial authority. Whether in supplication or celebration, both nurtured by diverse cultural contexts and furthered by the scope of ecumenical horizons, these essays break new ground. 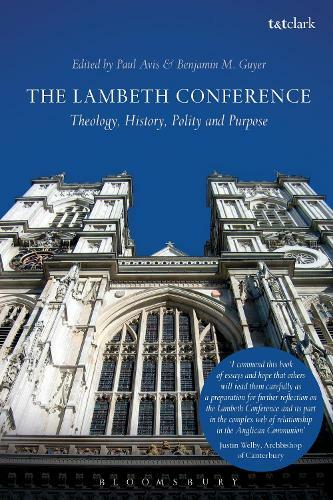 The Lambeth Conference is a faithful testament to generations past, and a spur to the ongoing restoration of Anglican theology and devotion in the present.